New Delhi : The Prime Minister, Narendra Modi, today said it is essential for Indian society to develop a consciousness towards "dignity of labour." He was addressing the inaugural session of the Indian Labour Conference here. 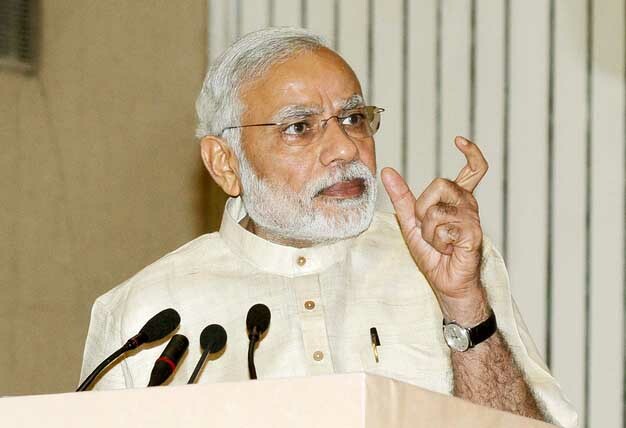 The Prime Minister said, in Indian culture, the worker is traditionally regarded as "Vishwakarma." The country cannot be happy, if the worker is unhappy, the Prime Minister added. Emphasizing that laws alone would not bring about the desired objective, the Prime Minister said it was the combined effort of the labour unions, the industrialists and the Government, which would lead to results which were in the interest of the nation's economy. The Prime Minister said successful examples of this kind are worth emulation. He said every effort would be made to modify laws through consensus. As part of the concept of "Minimum Government, Maximum Governance," the Prime Minister said obsolete and unnecessary laws were being weeded out. The Prime Minister called for giving importance to innovation among the workers. He asked how many industrialists had encouraged innovative workers to become entrepreneurs. In this context he recalled the recognition that had been given to innovators in the Indian Army, on the previous Army Day. He said Labour Unions too should join in the effort to nurture innovation. The Prime Minister said there is a thin line that separates the good of the industry and the good of the industrialist. Similarly, he added, there is a thin line that separates the good of the worker and the good of the labour union; the good of the nation and the good of the government. The Prime Minister said 4.67 crore workers now have a portable Provident Fund Account, through a Universal Account Number, which connects them to an online network. He also mentioned other welfare initiatives of the Government, such as raising minimum pension to Rs. 1000. The function also marked the launch of the National Career Service Portal, and ESIC 2.0: reform initiatives of the ESIC. Union Ministers Arun Jaitley and Bandaru Dattatreya were present on the occasion.